Junkyard crawling in the rain. Is there a better way to spend a wet day in Alabama? Tommy Simmons, a long-time gear head and mutual Car Craft fan, sent us photos from a recent trip to his regular junkyard stomping grounds. The yard is a few minutes west of Birmingham and has several vehicles from the 1940s through 1960s. Those years are considered the Golden Age of automobile manufacturing to some. 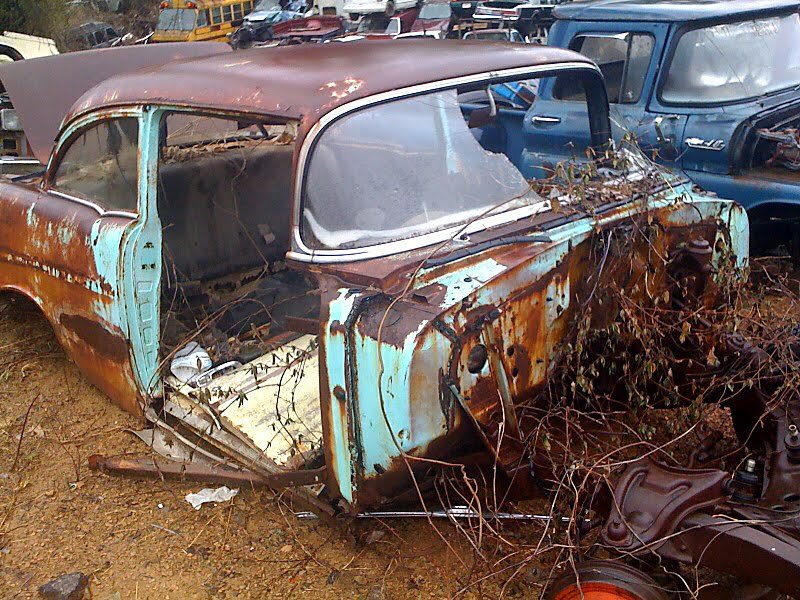 So, it’s no surprise that parts for cars and trucks from these years are highly sought after by restorers and collectors. 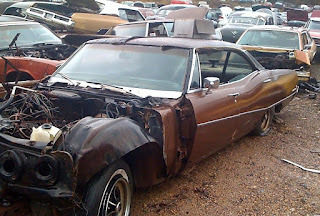 Also, your run of the mill car nut – junkyardlifer – also likes to scavenge these cars for parts. Original non-pitted trim pieces, solid sheet metal and super rare options are prime for picking and add value to classic project cars and daily-drivers. Judging by the looks of the place, the owner held on to some heavy iron – also known as – scrap-worthy cars for a long time. Give this junkyard owner credit, four-door Galaxies and Bonnevilles hit the crusher long ago at most salvage yards. The collection of cars is diverse and has several classic vehicles. Try finding a 1951-ish Willys 3-door wagon in mostly complete form. 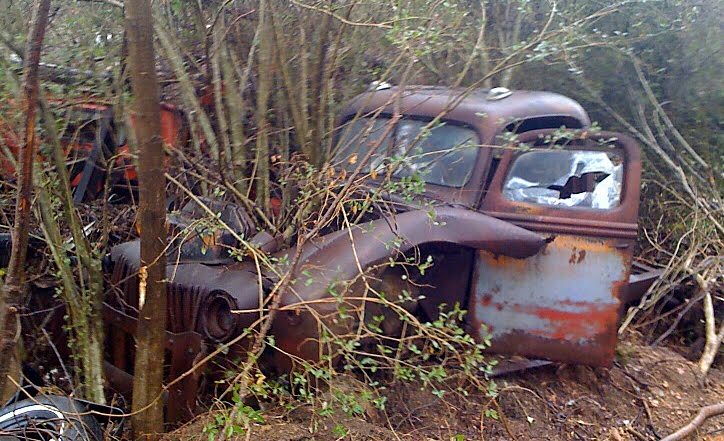 It’s ridiculously rare to find a Willys of any kind at a junkyard. 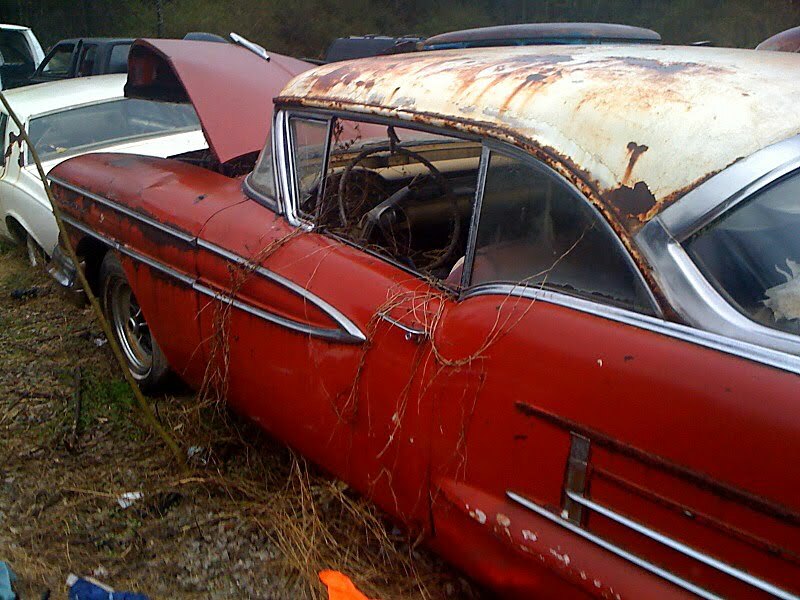 Another one of my favorites is the 1958 Oldsmobile 2 door hardtop. The chromed-out Olds was one of GM’s masterpieces of excess. Design chief, Harley Earl was responsible for many GM dreamcars and the flashy ’58 Oldsmobile. 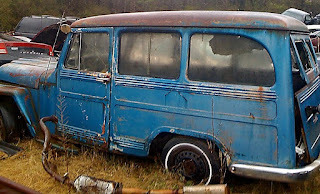 Now Earl’s work is on show at my local junkyard. Ain’t life grand? 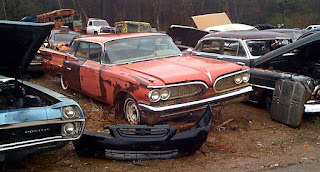 If you run across a stash of old cars and you want to share your find, send info to junkyardlife here. Thanks, in advance! 1967 Chevrolet El Camino, with a Cragar mag! 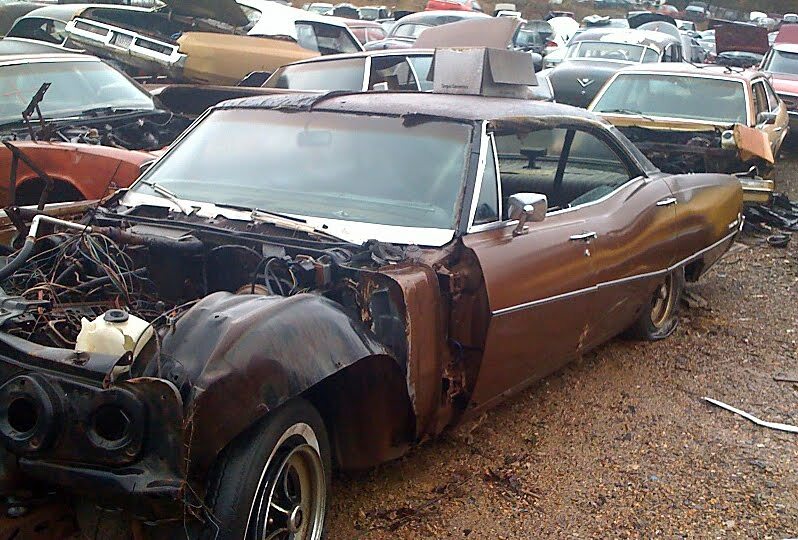 This big Buick front end is back out on the streets, we hope. 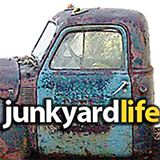 Want to share your find, send info and stories to junkyardlife here. Thanks! My test drive of a 1972 Formula Firebird here. A Cadillac bought by Elvis sits on the side of the road. See it here. 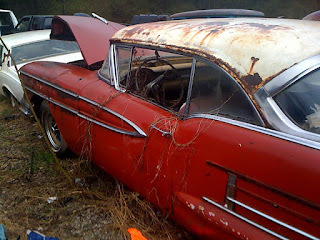 Or find out if 1957 Chevy four-door are cool here.